Burma! Burma! Burmese Restaurant! With 20 years of experience cooking in the finest restaurants, our chef is excited to present their vision to you and all our guests. Our caring and committed staff will ensure you have a fantastic experience with us. Join us for a wonderful Mother's Day Meal. We will be featuring our Regular Menu only. Reservations Highly Recommended. All parties of 5 or more guests please call the restaurant directly to book a table. Terrific food at fair prices. Some dishes are pretty spicy, so be sure to ask if that's a concern for you. The food is so good there was four of us so we shared a lot. Had the Lamb Curry, Garlic Noodles with Roast Duck, Pad Tai with Tofu, Chicken Salad, Spice String Beans and Samosa's. I highly recommend all of that. It was so good plus they have a great wine list. Great flavors we were 4 of us and shared 4 entree and a tea leaf salad plus the beans and mango fried rice. It was excellent. We had plenty of food and brought home the left overs. Could share three mains with 4 people easily. Or even 2 mains with the two sides and a salad. Excellent experience. Quality food, good service, at reasonable price... what else can I ask for? Excellent food and service! They are very family oriented. They provide plastic plates and cups for the little ones. Great feed. Huge variety in the menu. Biryani was awesome and service is outstanding. Excellent food, great service. Good for the money. Reasonably priced. Busy restaurant with unique and tasty dishes. We ate a variety of entrees and loved them all. I especially recommend the tea leaf salad. Fantastic food and service is awesome. Always love the dishes that we order. 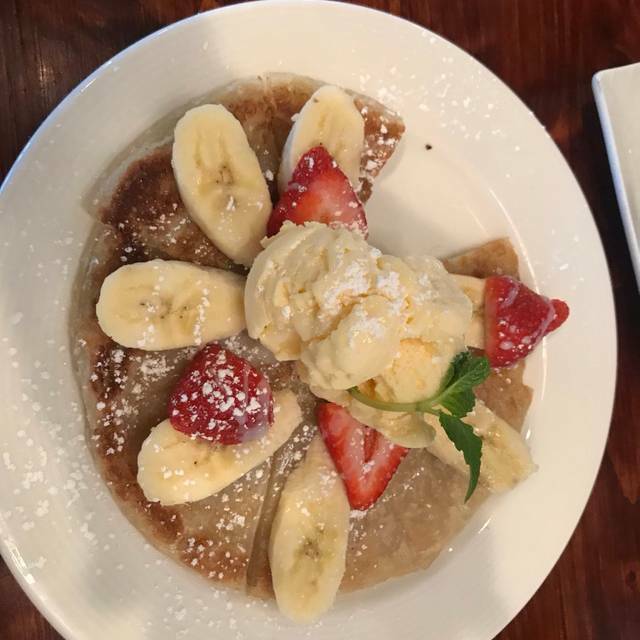 We love coming here as a local favorite. The only complaint is that the noise level is really high when the restaurant is full and busy. But the service and food are fantastic! Service was excellent. Tables are too close together and it was difficult to have conversation. Interesting food. Our third time eating at Burma Burma. The food is very good and the staff is even better. Very friendly and will offer advice honest advice on menu selections when asked. It is becoming a regular stop for us. Highly recommend. Food was good. Server was very friendly and had a sense of humor. Just a bit slow service, and a bit salty on the food. But overall had a good time. 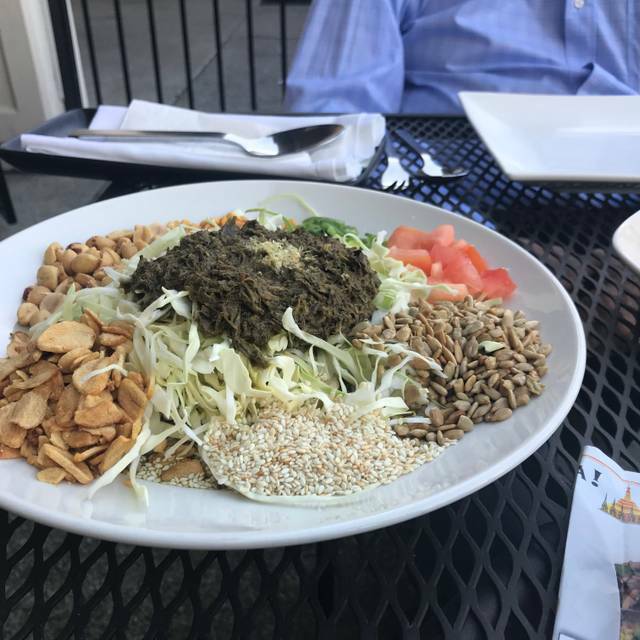 My husband is half Burmese and their food is delicious AND authentic! I highly recommend the tea leaf salad and all of their curries! Had lunch with a friend. I prefer having dinner here where I have more options. Food is always delicious. This was our fourth meal at Burma Burma and we have never been disappointed. The host is gracious, the server is too; both happily volunteer, and have full knowledge of, each item on their menu. I recommend making reservation, for even on a Sunday night it is packed. Problems with our OpenTable reservation, but the manager found a spot for us. Great service, great food. Once again the best meal. We had the salt and pepper shrimp as an appetizer so good then the chicken curry salad amazing tenth flat bread with chicken curry all was so good. The server staff is amazing. We love this restaurant . Staff was very attentive. First impression of the dishes ordered were less than expected with the exception of the green beans, they were done to perfection. The batter (I use Wondra for the flour) for the calamari was heavier than I liked, but the dipping sauce was just fine. The Pumpkin chicken was more pumpkin than small chicken. A return trip is likely to try some of the specials. Pepper chicken, Burma Shrimp and Eggplant, Burma Indian Rice, Green Beans, Jalepeno chicken all are amazing. We've visited multiple times tasting our way around the menu. as enjoyable as the pepper beef. seatmate’s plate while I was eating and before she was finished. Though there were a dozen open tables, we felt pressured to leave due to the many interruptions asking if we were finished. We absolutely love Burma Burma! We eat here at least 2-3 times per month. The food is outstanding. 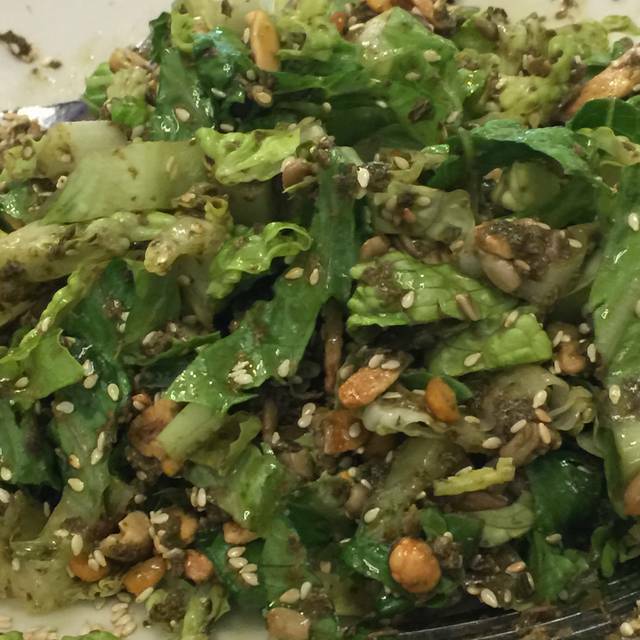 A must have us the Tea Leaf Salad, now prepared with cabbage and equally as delicious as the original. Sesame Beef is our favorite beef dish and our current favorite chicken choice is Kabat Chicken. The wait staff is attentive, friendly and efficient. We see the same waitors and bussers week after week, so they are certainly doing something right to maintain their staff! Good food, great service - a bit busy and noisy Friday nights. Excellent food. Ambience and servicd was really good. Wonderful as always! Just really miss my fave dish of cheesy chicken. Enjoyed our lunch this past Saturday - first time for that time of day. One disappointment: we had heard about their great lunch specials - BUT only on week days. Will just have to go back and try them during the week. Food was once again flavorful, served promptly and with a smile. Very nice wait staff and support staff. Can't seem to get enough of the Green Tea salad - excellent and enjoy watching the staff mix it at the table. Chicken Pad Thai was very good as well. Also found that we could not use their 'buy one entree, get 50% off 2nd entree" coupon because two of our three items were not entree's - thats ok, just need to be aware of the 'fine print' on coupons and order accordingly. Great Burmese food at inexpensive prices. My wife and I went with a mutual friend and we had 3 appetizers and shared two entrees and took a little bit home. Everything was excellent...especially the tea leaf salad. THAT...was other worldly and if you order, have them mix it at your table. This food is between spicy and very spicy but it was all top quality beef and chicken in the main courses and the Calamari appetizer was very, very good too. I think it was a Calamari steak cut into bite sized pieces and lightly fried. Really tender fish. The atmosphere is pretty plain and our primary waiter was pretty bad..he did not listen...but the food was definitely worth the visit. We will return often. Awesome food. Great service. Managers Daryl & Brad were very friendly and attentive. 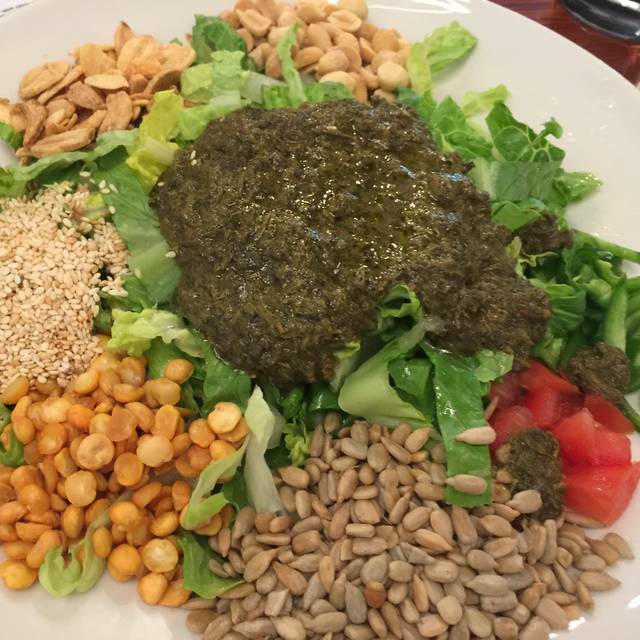 We loved our authentic food... especially the tea leaf salad. Menu was great for KETO low carb diet. We were given ice cream with huge candle to celebrate a birthday. Outside patio has heat lamps. The inside was crowded with large groups so pretty noisy. Friendly and accommodating staff! Great food! This is one of my favorite spots for lunch and actually the best Burmese restaurant I have been to. They have delicious lunch specials at reasonable prices and great portions. 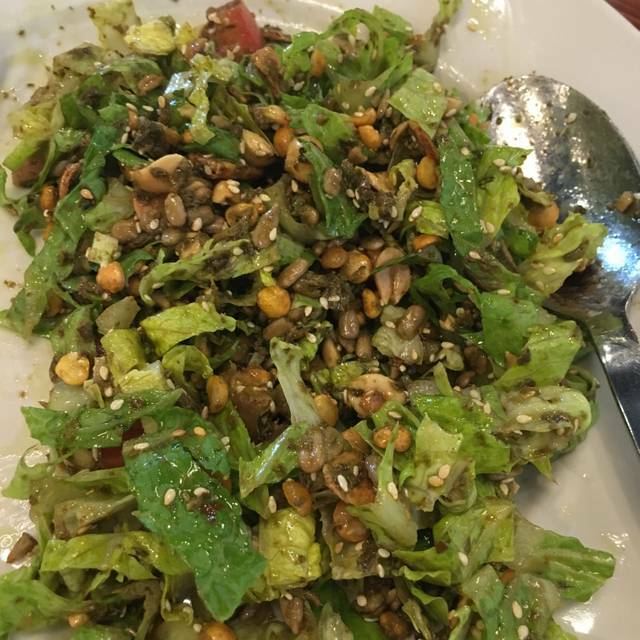 I usually go with my coworkers, we always get a tea leaf salad to share for the table and our own lunch specials. My go-to dish is either the Burmese chicken curry or the basil and dried chili beef with coconut rice, the coconut rice is a must! They also let you determine how spicy you want your food. The first time I came here, I got spicy and it was so spicy I couldn't eat much of it (not in a bad way, I love spicy food). Second time, I wanted to taste the flavors more so I got medium, but it was not spicy at all! Since then, I always get spicy, the coconut rice usually balances it out pretty well. Make sure you ask for hot sauce, it's super spicy and yummy. Another thing that stands out to me here is the service, everyone is so nice and professional. It's like the service you would get at a fancier restaurant, they even have the little table scrapers to clean up all the scraps on the table. I've only seen this at up-scale restaurants, so I thought that was a nice touch. We love Burma Burma. The Fried Tofu was amazing, as was the Calamari. The spicy shrimp was excellent. Can't wait to go back. The food was awesome and the service was excellent. They made sure the dishes arrived one by one and not all at once and frequently enquired if everything was ok. The Birthday surprise was very good, they brought a scoop of icecream with a candle for a celebration. Over all, it was a great experience. Best Burmese outside of Burma Superstar in Oak town. If you’re East of the tunnel this is where you want to go!! See Full Restaurant ListMake a Reservation at Burma! Burma!